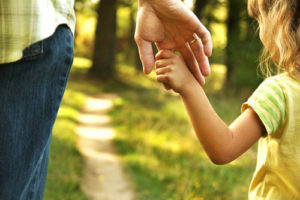 How Is Paternity Established and How Does It Affect Child Support? “Who is the father of this child?” makes for juicy gossip on certain talk shows. The truth is that modern DNA testing can determine whether a particular person is the parent of a particular child with 99.99% plus accuracy. From a legal perspective, however, enforcing paternity obligations such as child support may be more difficult. Establishing paternity according to legal rules is essential for ensuring that the father of a child pays necessary child support and has the opportunity to contribute to the raising of the child, if appropriate. Is a Paternity Test Needed for Child Support in New Jersey? For child support purposes, a paternity test is not always necessary. If the biological father of a child born to unmarried parents concedes that he is the father, or if the couple agrees that he is the father, then the father will likely be expected to pay child support. In this situation, the father may be referred to as the “acknowledged father” in court documents. In some cases, a father is presumed to be the father of the child. For instance, if the parents were married when the child was conceived or born, the father may be presumed to be the father of the child. Similarly, if the father attempted to marry, or married, the mother, he may be considered the “presumed father” under particular circumstances. Who Can Bring a Claim to Establish Parentage in NJ? Some paternity actions are brought by welfare organizations that provide TANF (Temporary Aid to Needy Families) benefits to the mother and child. In these situations, the mother is required to cooperate with TANF officials or risk losing her benefits. If a particular man is determined to be a father in a paternity action, he may be ordered to pay child support. He may also seek custody or parenting-time rights with the child in most cases. Attorney Daniel K. Newman leads a New Jersey divorce and family law practice that focuses on applying knowledge and compassion to every case we handle. To learn more, contact our office today at (856) 309-9007.